ESMS to sponsor the 2018 Annual NHS R&D Forum. 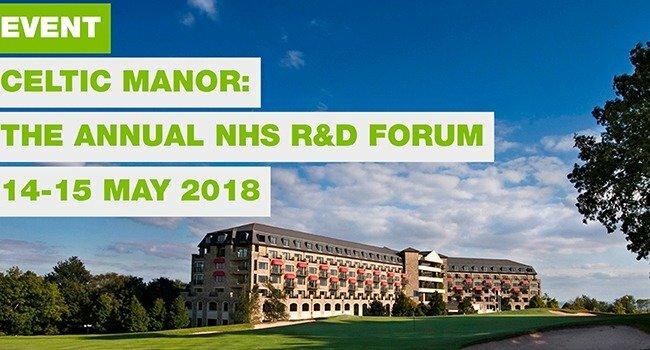 We are excited and looking forward to sponsoring the 2018 Annual NHS R&D Forum, 13th-15th May 2018, Celtic Manor, Wales. The NHS R&D Forum is a UK–wide community of practice and professional network for the health and care research management, support and leadership workforce. Forum business and activities are coordinated on behalf of the community by an Executive group and a non–profit organisation called Health Research and Development Ltd.
A representation of those who lead, promote, manage and support quality health research with and for NHS providers and commissioners of care; creating standards, supporting peers, and influencing UK–wide bodies as a critical friend to improve practice. The Vision is excellence in research management, support and leadership for high value research and for improved health and care. For those attending, do visit us in the Augusta Suite from 18.00 Sunday for the networking event. ESMS Global Limited. Registered in England & Wales. Reg No. 07753604.